Traditional central banking operates by changing the level of interest rates, which in turns affects how households and firms allocate spending over time, or intertemporally. Higher interest rates motivate more saving and less borrowing and consumption today, while lower interest rates have the opposite effect. By contrast, concerns that nontraditional policies such as holding MBS constitute “credit allocation” often appear to reflect a worry that these policies influence not just intertemporal choices but also the cross-sectional allocation of spending to different parts of the economy. In practice, however, it can be hard to cleanly separate the intertemporal and cross-sectional effects of central banks’ policies. Even “traditional” interest rate policy can have cross-sectional effects, because some sectors of the economy are more dependent on credit and thus more sensitive to changes in interest rates. The housing sector, for example, historically has been more responsive to interest rates than the economy as a whole, so a cut in interest rates tends to shift the mix of aggregate spending toward housing, while a rise in rates tends to shift the mix of spending away from housing. Furthermore, unconventional monetary policy primarily has an intertemporal effect, just like conventional policy. The primary impact of the Fed’s MBS holdings is to reduce longer-term interest rates. This is particularly useful if short-term rates are already very low and cannot be lowered much more. This impact is generally just like the impact of holding longer-term Treasury securities (which is not usually viewed as credit allocation in the United States). That said, unconventional monetary policy may also have stronger cross-sectional effects than conventional policy because it may more sharply affect prices relevant to particular sectors of the economy. MBS holdings, for example, reduce the interest rate spread between mortgages and Treasury debt, and thus stimulate the housing market more than other sectors. This targeted support for housing and mortgage markets was an effect that policymakers specifically said they intended to achieve when announcing each of the Fed’s post-crisis MBS purchase programs. MBS holdings provide stimulus to the one- to four-family housing sector as a whole, without targeting any particular region or type of house. Do MBS Purchases Have Different Macroeconomic Effects than Purchases of Treasury Securities? How do the economic effects of Fed MBS purchases differ from those associated with purchases of longer-term Treasuries? As we discussed in our previous post, in neither case does the Fed expose itself or taxpayers to credit risk. However, with MBS purchases, the Fed removes some risks from the market, a move that may be stimulative in that it allows the private sector to take new risks by investing in the real economy. With MBS purchases, as well as with purchases of longer-term Treasury securities, the Fed does take on “term risk.” Term risk is the risk that interest rates will rise before a long-term security matures, leaving the holder of the security stuck receiving interest payments that are below the current market rate. Investors demand a premium to bear this risk; the term risk premium, in turn, is one reason that longer-term interest rates tend to be higher than short-term rates. When the Fed takes on term risk—by holding either MBS or longer-term Treasury securities—private investors do not have to bear as much of that risk and therefore do not demand as large a term premium. In consequence, the Fed’s holdings of long-term securities, whether MBS or Treasuries, help reduce long-term interest rates and stimulate the economy. 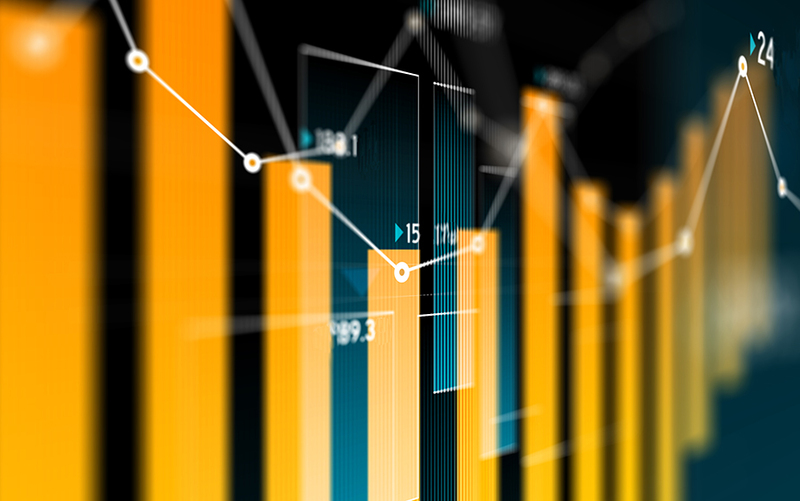 Term risk can cause the market price of longer-term securities to fluctuate over time, and the Fed’s quarterly financial statements report these fluctuations in the mark-to-market value of its assets. Nonetheless, the Fed will not incur any capital losses on its holdings of longer-term securities under its announced plan of holding securities to maturity and reducing its balance sheet primarily by limiting reinvestments of the proceeds of maturing securities. Unlike Treasuries, MBS also affect the price of a special risk known as “convexity” or “prepayment risk.” Homeowners with mortgages are allowed to pay off their mortgages early, for example to refinance to a lower-rate loan. This choice is more attractive if interest rates fall after the mortgage is issued. From the perspective of an MBS investor, prepayment risk is a lose-lose proposition. If rates fall, homeowners become more likely to prepay, and the investor does not receive the full stream of interest payments that were initially expected. On the other hand, if rates rise, homeowners become less likely to prepay, so the investor is now receiving below-market-rate interest payments and is stuck with this below-market-rate interest stream for a longer time than initially expected. Investors demand a risk premium to bear prepayment risk. But when the Fed holds MBS, it removes some prepayment risk from the market, reducing the prepayment risk premium. Because this risk premium is unique to mortgages, the Fed’s MBS holdings therefore help reduce mortgage rates even more than other rates. In this sense, MBS holdings provide more stimulus to the residential mortgage market than to other markets, affecting the cross-sectional allocation of credit and economic activity. In this post, we discussed the effects of the Fed’s agency MBS holdings on the economy. These effects are for the most part similar to those of the Fed’s traditional policy of holding only Treasury securities. One difference is that MBS are affected by prepayment risk. By holding MBS, the Fed can lower the amount of such risk that the market must hold, which could lower the cost of housing, favoring that sector of the economy. The views expressed in this post are those of the authors and do not necessarily reflect the position of the Federal Reserve Bank of New York, the Federal Reserve Bank of Chicago, or the Federal Reserve System. Any errors or omissions are the responsibility of the authors. Antoine Martin is a senior vice president in the Federal Reserve Bank of New York’s Research and Statistics Group. Sam Schulhofer-Wohl is a senior economist and research advisor at the Federal Reserve Bank of Chicago. Antoine Martin and Sam Schulhofer-Wohl, “How Do the Fed’s MBS Holdings Affect the Economy,” Federal Reserve Bank of New York Liberty Street Economics (blog), August 8, 2018, http://libertystreeteconomics.newyorkfed.org/2018/08/how-do-fed-mbs-purchases-affect-credit-allocation.html. Thank you for your comment. It is correct that agency MBS are treated differently from Treasury securities in various regulations affecting commercial banks. These differences are among the reasons why purchases of Treasuries and purchases of MBS may have somewhat different cross-sectional effects, as discussed in our post. I believe one important fact left out in the article is the Agency MBS are treated very differently in bank books versus treasuries. The difference in capital treatment should play an important difference on how the Fed and investors treat Agency MBS compared with Treasuries.